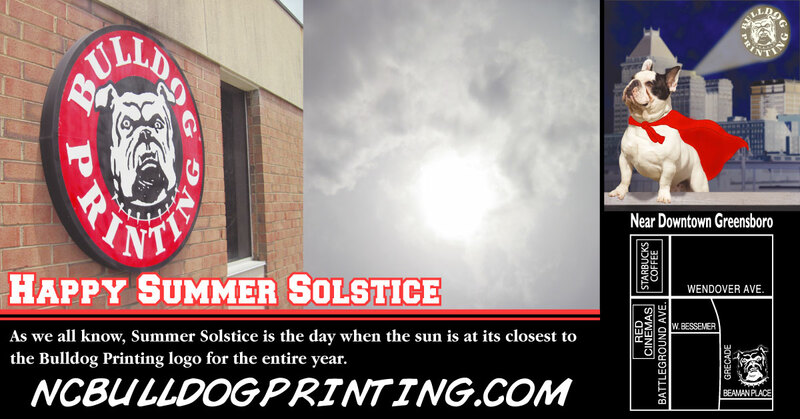 As we all know, Summer Solstice is the day when the sun is at its closest to the Bulldog Printing logo for the entire year. Here’s a shout out to Dr. Litchford at Case Software! Case Software is a private educational publisher. 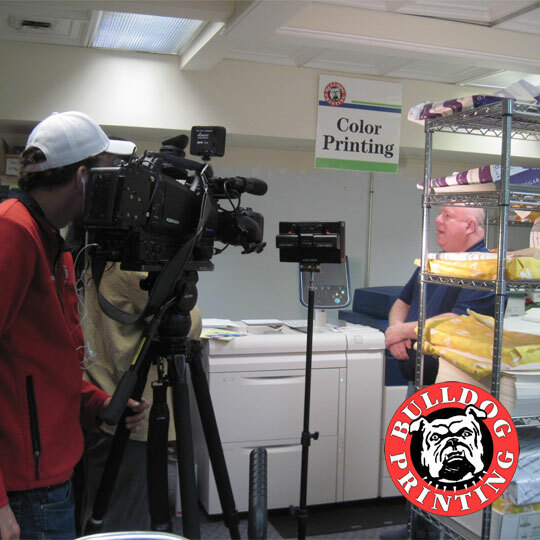 We recently had a photo shoot here at Bulldog Printing where we set up a number of business materials we’ve designed, printed and provided in which she uses to show off and display. 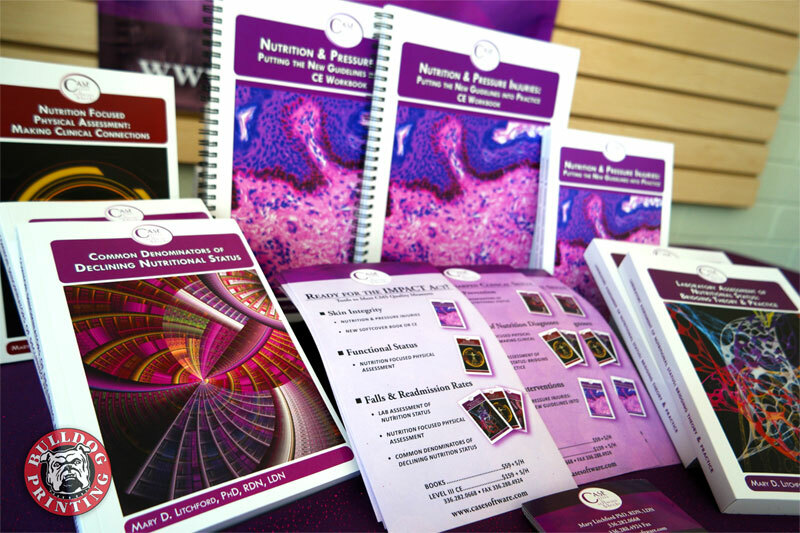 Examples include Flyers, Perfect Bound Books, Spiral Bound Workbooks, Business Cards, Banners and a Pop-Up Banner. 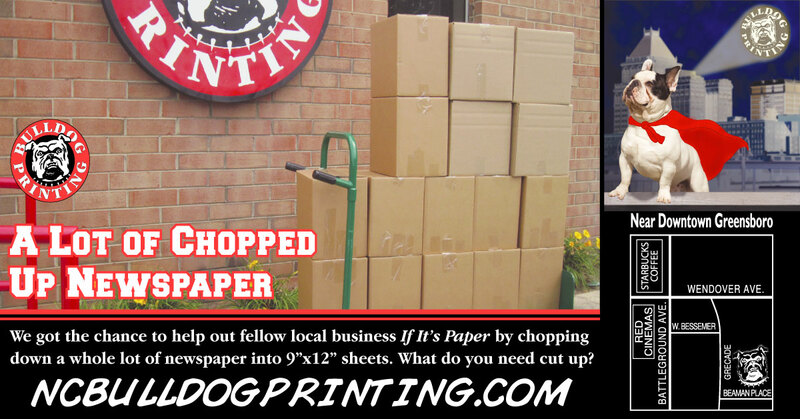 We got the chance to help out fellow local business If It’s Paper by chopping down a whole lot of newspaper into 9″x12″ sheets. What do you need cut up? 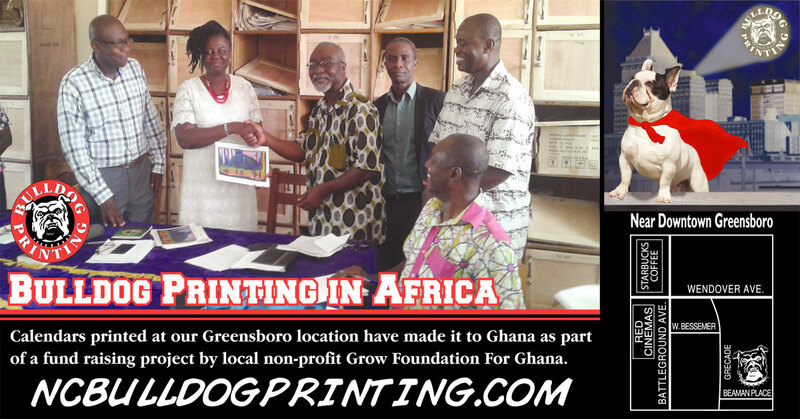 We’re happy to report that calendars printed at our Greensboro location have made it to Ghana as part of a fund raising project by local non-profit Grow Foundation for Ghana (GF4G). Glad we could help out on this project. We’re updating to a more mobile friendly site and looking for other ways to improve the site for customers. 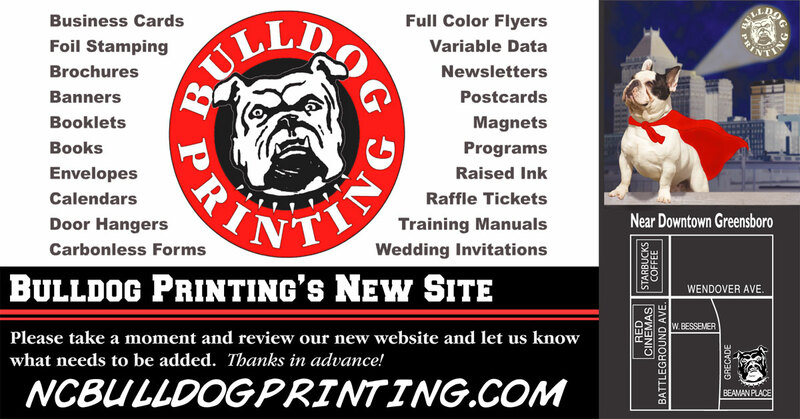 Please take a moment and give it a look and let us know what needs to be added. Sorry for the clutter, we’re still getting our new site setup. 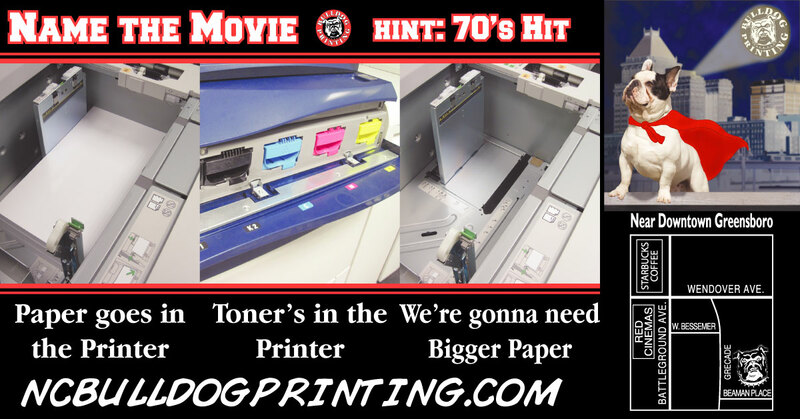 We do have the important pages like Contact Us, Get A Quote, and Art Submission ready to receive your orders, questions, and comments.